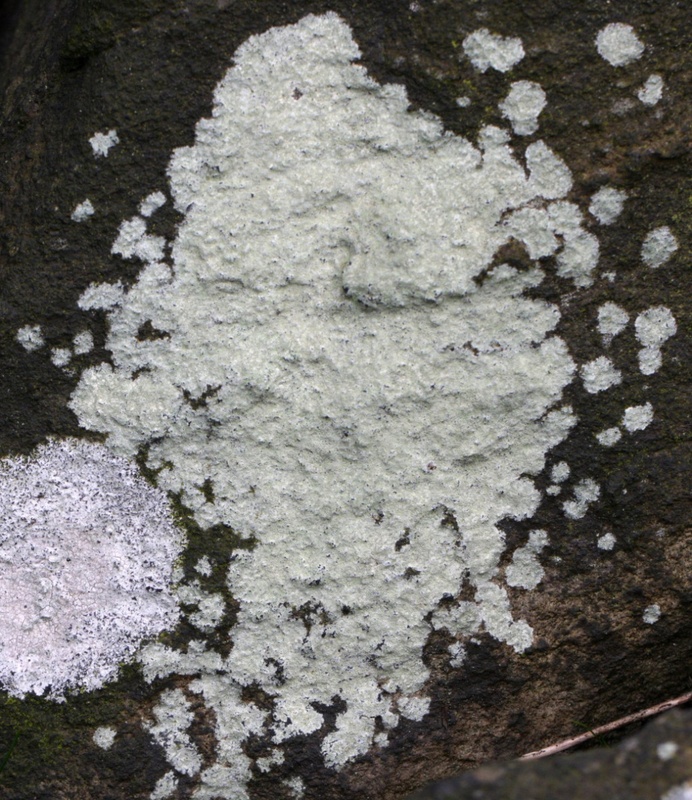 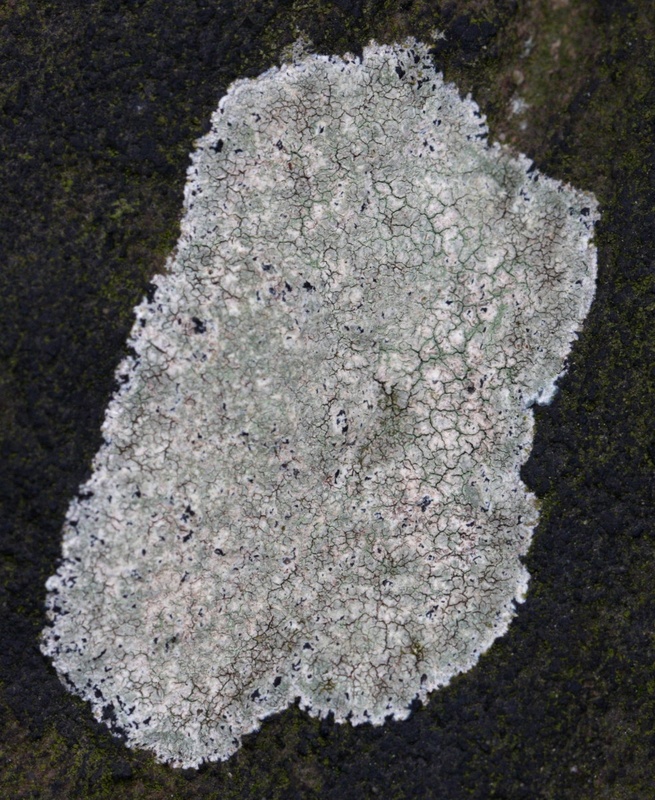 Grey or greeny-grey, powdery, crustose lichen. 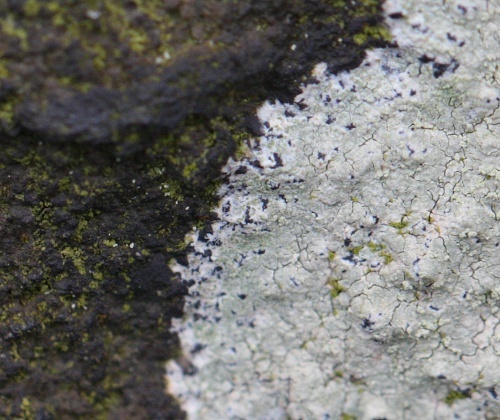 Typically has a ragged edge to the thallus due to mycelia growing outwards. Grows on dry surfaces of rocks or dry walls of buildings.